Triple Disc is proud to offer Digipaks at a new lower cost. Step out of that Jewel Box and right into a fully custom full color Digipak. Triple Disc now offers 100% recycled digipaks! Our corporate clients find that Digipaks are the perfect package for their CD and DVD projects. There is always enough room for graphics to display to match your company's corporate image. Business CD ROM 4 Panel Full Color Digipaks pricing and package details. 100% recycled options now available!. 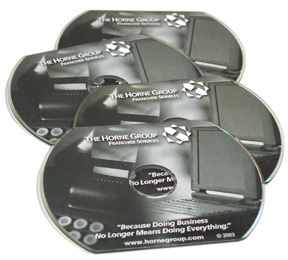 Business CD ROM 6 Panel Full Color Digipaks pricing and package details 100% recycled options now available. Business CD ROM 2 Panel Full Color Cardboard Folder pricing and package details. 100% Recycled options now available!. Business CD ROM 4 Panel Full Color Cardboard Folder pricing and package details. 100$ Recycled options now available! Business CD ROM 2 Panel Full Color Cardboard Mailer pricing and package details. Triple Disc offers Business Card & Mini CDs in bulk or custom printed packaging. Triple Disc Business 5" CDs on Bulk Spindles or Non-Printed Packages. Triple Disc offers other Business CD packages in Jewel Boxes & Cardboard! If you don't see what your looking for give usa call at 540-899-3981 or drop us an email. If you have seen it in the market place we can do. Triple Disc's sales people will work with you to choose the right package for your need and you budget. Don't forget to ask about Triple Disc's 100% recycled Cardboard and Digipak options. Triple Disc cares about he environment and wants to give every customer green CD and DVD duplication and replication options. Replication or Duplication which one is right for my Business CD-ROM?